Well, the answer is “The one that you like the best”. But we’ll give you some tips on how to choose a good bread to pair with an unforgetable plate of Jamón Ibérico de Bellota. 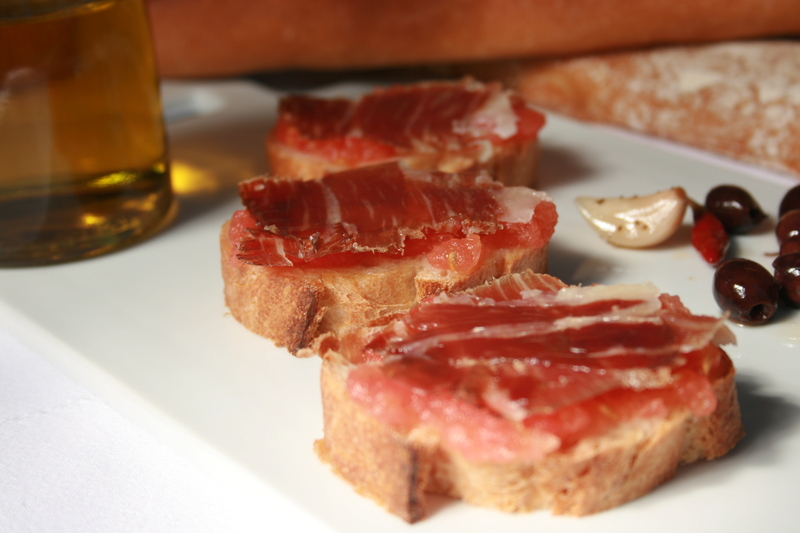 Jamón Ibérico de Bellota has a unique intense flavor with a note of sweetness, nutty undertones and sublime tenderness. So in order to maitain and enjoy this flavorful bite, we suggest you to go for a bread that doesn’t mask this flavor. Try to avoid breads with cranberries, pumpkin flavor, thyme, or any other bread that has a lot of flavor itself. We like to use french bagguete or some types of Italian bread, because they are soft inside, with a crispy crust and the flavor is light enough to not cover up the flavor of the Jamón Ibérico de Bellota. Sourdough is acceptable although a bit more dense, and has more flavor to it, which is not probably ideal to pair with Jamón Ibérico de Bellota. Toasted or not: It’s your choice, but as a rule if you’re lucky enough to have freshly baked bread, don’t toast it. And if you buy bread in the morning and have it for dinner, you may want to toast it a little bit. Make sure it’s only slightly toasted so the inside crumb is tender and the outside is crispy. Size of the slice of bread: Make it small enough so you can grab it and eat it with one hand, and don’t cut the slices very thick. Tomato, extra virgin Olive Oil, and garlic. These are optional, but in general work great with the tosated bread and Jamón Ibérico de Bellota. Rub the toast with some tomato and garlic, and put a hint of extra virgin Olive Oil.